Twisty just wants to keep the children ''safe'' from their evil parents. 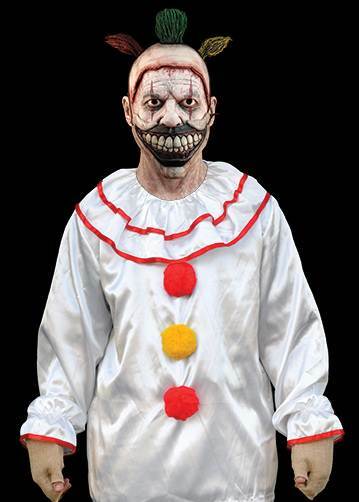 Based on scene pictures provided by the designer of American Horror Story Freak Show, this is the most accurate Twisty the Clown Costume produced. 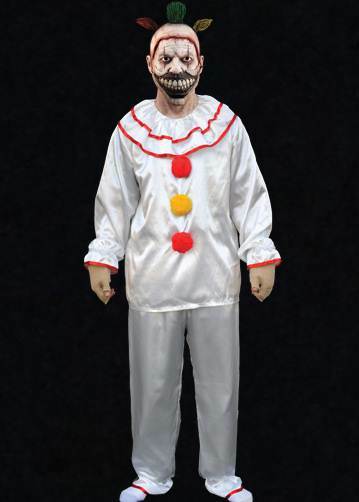 So get yourself the officially licensed Twisty the Clown Costume and make sure to pick up the officially licensed Twisty the Clown Mask to complete the look. The costume comes with shirt, pants and burlap gloves. This costume is one size fits all so please read the sizes below before ordering: Chest = 48Ð²Ð‚Ñœ; Waist = 44Ð²Ð‚Ñœ; Inseam = 30"?